Nepali cricketers climb up in ICC rankings - Integration Through Media ....! 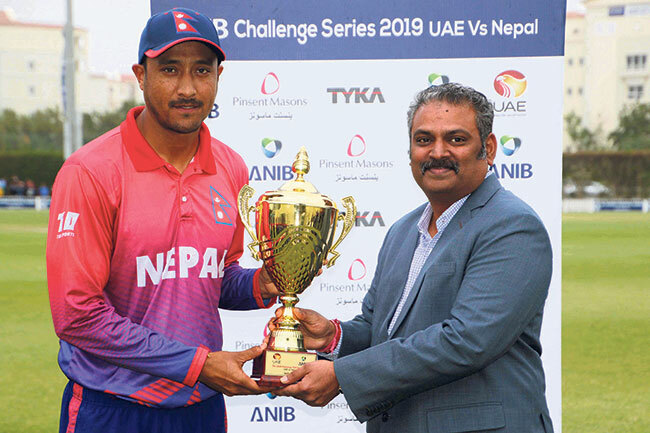 KATHMANDU: National team captain Paras Khadka, Sompal Kami and Basant Regmi have improved their position in the latest T20 ranking released by the International Cricket Council today. As per the latest ranking, Babar Azam of Pakistan leads the ranking in batting, Rashid Khan of Afghanistan in bowling and Glen Maxwell of Australia as an all-rounder.